Sky Flight wins the 2015 Artie Schiller Stakes. 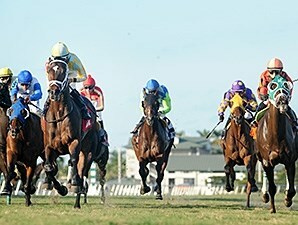 Sky Flight wins the 2014 Tropical Park Derby. 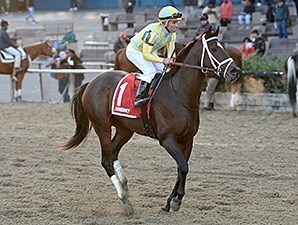 Sky Flight is Black Type Multiple Graded Stakes Placed as well as a Multiple Stakes Winner of over $250,000. 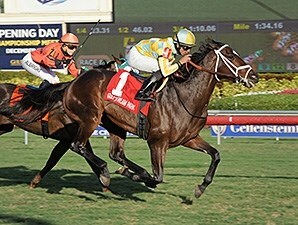 Sky Flight has won and been graded stakes placed from coast to coast. 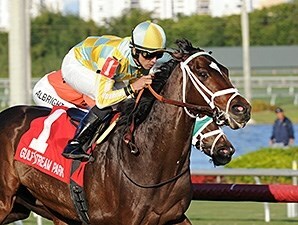 Sky Flight won the Tropical Park Derby at Gulfstream and the Artie Shiller Stakes at Aqueduct. 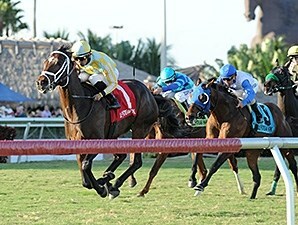 Sky Flight placed in Gr.3 Tampa Bay Stakes at Tampa Bay and Gr.2 Firecracker Stakes at Churchill Downs. Property of Penn Family Racing and Kevin Clifton standing at Circle C Ranch in Emory, Texas.